In almost all cases, gingivitis, or gum disease, is caused by improper cleaning of the teeth and gums. 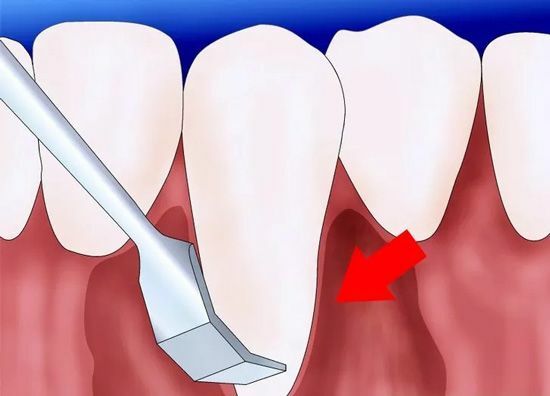 If proper teeth care is not effective, you can use these techniques to treat gum disease at home. Yet, it's always best to see a dentist for a proper evaluation and course of treatment. 1. Know the symptoms of gingivitis. Gingivitis can progress through its early stages with few visible symptoms. 2. Understand how plaque causes problems. Food trapped under the gums combines with bacteria to create plaque, a “toxic stew” that irritates the gums and makes them bleed. 3. Know the non-surgical dental options. Most treatments for gum disease involve the dentist, although keeping the disease at bay in at least half of the problem. 4. Know the surgical dental options. Advanced gum disease or periodontitis may need to be attacked with dental surgery. 5. Help yourself. Regardless of what happens in the dental chair, it’s what happens in your bathroom that determines the success or failure of your gum disease treatment. 6. Use oral irrigation. It is an effective gum disease treatment that dental professionals recommend for daily plaque control. 1. Know that most of the following steps are unverified home remedies. 2. Try oral probiotics. Oral probiotics contain "good" bacteria that assist in restoring the natural balance of bacteria in the mouth after use of oral antiseptics found in mouthwashes and toothpastes. 3. Try ubiquinone. Ubiquinone, also known as Coenzyme Q10, essentially helps convert fats and sugars into energy. 4. Try a peroxide oral rinse. An oral rinse that contains hydrogen peroxide, such as Colgate Peroxyl, is an antiseptic and antibacterial that helps treat infection and relieve inflammation when it comes in contact with an enzyme in the mouth. 5. Use corsodyl spray. Corsodyl spray is a powerful spray that contains chlorhexidine gluconate, which has antibacterial and antiplaque properties. 6. Try Gengigel Gel. This gel contains hyaluronic acid, which is naturally found in the body and can be used to heal certain wounds and stimulate the production of new tissue.